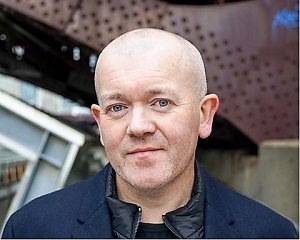 Doubleday has bought an "outstanding" new novel by Conor O'Callaghan, poet and author of the acclaimed debut Nothing on Earth (Doubleday Ireland, 2016). 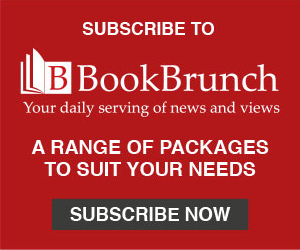 Alice Youell at Doubleday and Fiona Murphy at Doubleday Ireland signed UK, Irish and Commonwealth rights (inc audio) in I Have You Now with Victoria Hobbs at AM Heath, and will publish in spring 2020. The story follows a father and daughter as they journey through present-day France in a haulage lorry, emerging from grief and guilt. Youell said: "I was knocked sideways by this novel, its intensity and its unflinchingly honest exploration of the pain that comes hand in hand with profound love. Conor surprises at every turn, not only with his literary acrobatics, but with his extraordinary ability to get to the very essence of human relationships. We're overjoyed to continue publishing this exceptional writer." Murphy said: "Nothing on Earth was one of the first novels I worked on when I returned to Ireland in 2016 and one of the highlights of that year. I Have You Now proves that Conor is an exceptional talent and one with a very bright future ahead. Exquisitely structured, a father and daughter relationship delicately explored as we go back in time through the wreckage of his extra-marital affair. Raw, beautiful and unflinchingly honest, it is an unforgettable read." O'Callaghan said: "Publishing with an imprint like Doubleday - the history it has, the brilliant contemporary list - is a real privilege. Doubleday gives a writer room to take chances and makes gorgeous books and brings those books lovingly into the world."